In this experiment, we take a last chance and charge recklessly forward with a Jeskai monk from the past. The new year has come, and Fate Reforged is coming. It’s preview time, and today, I follow up with Gathering Magic's preview card, a Jeskia monk who may just be the progenitor of the Dragon Style, as performed by the Dragon-Style Twins. Then again, I guess it’s not a safe assumption that everything with double strike is a practitioner of the martial arts. But if that is the case, our card today must be the Dragon-Style Teacher. And today, he’ll be teaching us how to reduce our opponent’s life total, through the red zone, from 20 to 0, on turn three—that is, if you count a Final bit of Fortune. This guy’s prowess trigger also brings a double-strike-granting trigger that can change his damage output from the printed 3 to—pretty easily—a life-total-crunching 10. With only two spells and one expenditure of , , or , Shu Yun, the Silent Tempest goes from a 3-power creature to a 5-power creature with double strike, taking a one-half chunk out of our opponent’s life. Follow that up with an encore the next turn, and that’s game over. 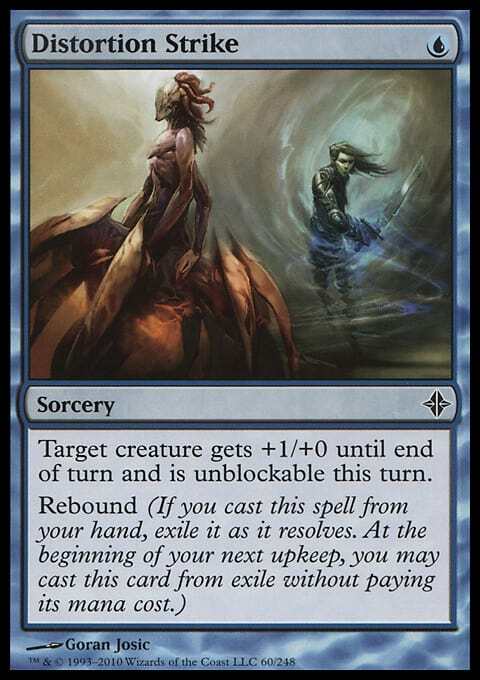 Incidentally, there happen to be a few cards that are both spells and extra turns in one. Final Fortune, Last Chance, and (the quite expensive) Warrior's Oath are all the same card with different names. Spend , and take another turn. That’s a pretty good discount on Time Warp and right up there in cheapness with Time Walk and Temporal Mastery’s miracle cost. The catch is that if we don’t win at the end of our extra turn, time’s up; we lose the game. 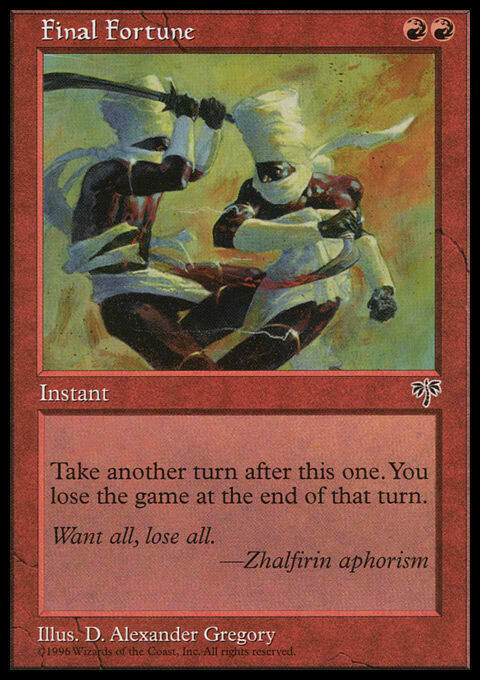 But if we’re able to attack with Shu Yun on an early turn, when the opponent hasn’t had a chance to set up defenses, or at a time when the opponent is vulnerable, having tapped out, we can use two 10-damage combat phases to defeat our opponent an easy eight priority passes before our own red-sorcery-induced extinction. Let’s take a look at the deck I mocked up and then go over a few dreamy sequences. 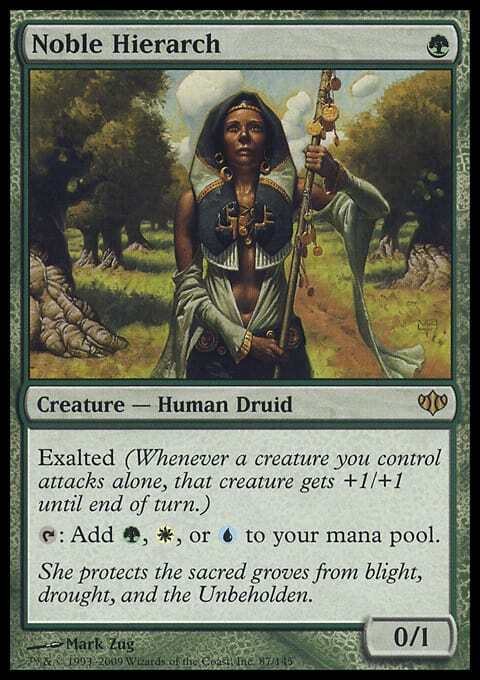 If we play a Stomping Ground and cast Noble Hierarch on turn one (on the play), our opponent can be defeated as soon as our fourth turn—but before our opponent has taken his or her third. 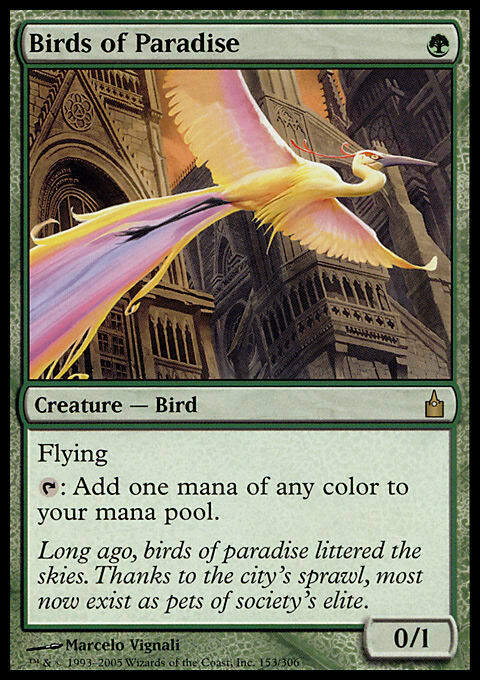 On turn two, we play a Mountain and cast Shu Yun, using blue mana generated from Birds of Paradise. On turn four, we play another Mountain and cast Manamorphose. We pay for Shu Yun’s trigger, giving him double strike. Manamorphose resolves, drawing us a card and giving us the mana we need to pay for Final Fortune. We’ve resolved two prowess triggers, one from Manamorphose and one from Final Fortune, and we’ve given Shu Yun double strike, so when we attack, it’s for 10. We end our turn and take our next turn. 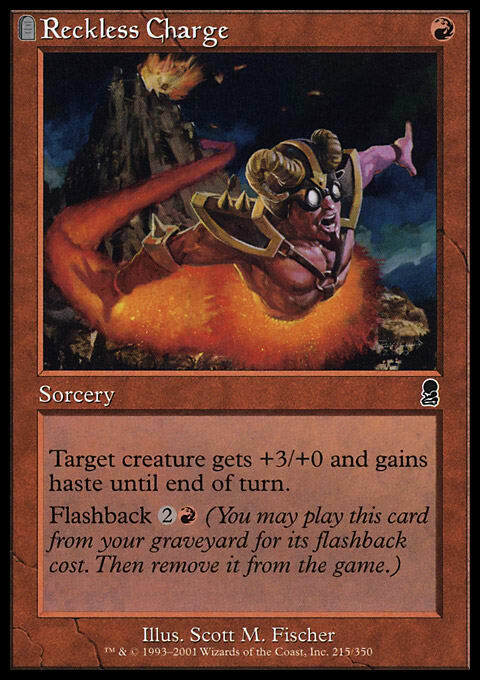 As long as we have another Manamorphose and any other 2-mana-or-less spell or two 1-mana spells (in order to trigger prowess two more times), we can bring Shu Yun’s power up to at least 5 again and give him double strike again, giving us sufficient power to reduce our opponent from 10 to 0. Distortion Strike gives 1 point of power, so if that’s our spell, we don’t even need a second. If our spell is Reckless Charge, we’ll have power to spare. This sequence is much like the above, but much more forgiving. We don’t need two spells on either of our attacking turns, as Noble Hierarch can provide the additional point of (doubled) power with its exalted superpower. With just a Final Fortune on turn three and any ol’ spell on our bonus fourth turn, we can win handily enough. Kiln Fiend and Distortion Strike form a combo that should be new to no one at this point, but this synergy fits quite well with Shu Yun. 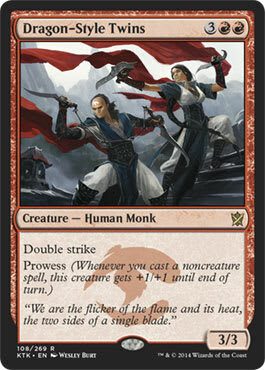 With Shu Yun on turn two or three, we don’t even need to attack with him to win on the subsequent turn. 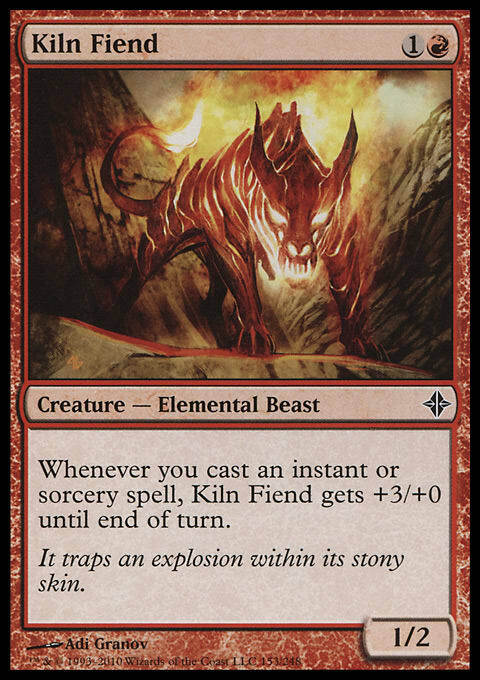 If we resolve Kiln Fiend with 4 mana, we can spend 2 to cast Manamorphose and the other 2 to pay for Shu Yun’s trigger, teaching Kiln Fiend the dragon style. With the we make with Manamorphose, we can cast both Reckless Charge and Distortion Strike on the Fiend, bringing its power up to a grand total of 11. With its dragon-style technique, that becomes an unblockable 22 damage. And if 22 isn’t quite enough, The Silent Tempest will be no slouch himself, with an intimidating size of 6/5. This pair costs 5 mana, coming down way after when we’d like to have won the game. But they can win the game on their own with two turns and a Distortion Strike to work with (don’t forget Distortion Strike’s rebound), and our spells can give us that extra turn when we need it. One of the biggest flaws of a deck like this is a potential lack of creatures. 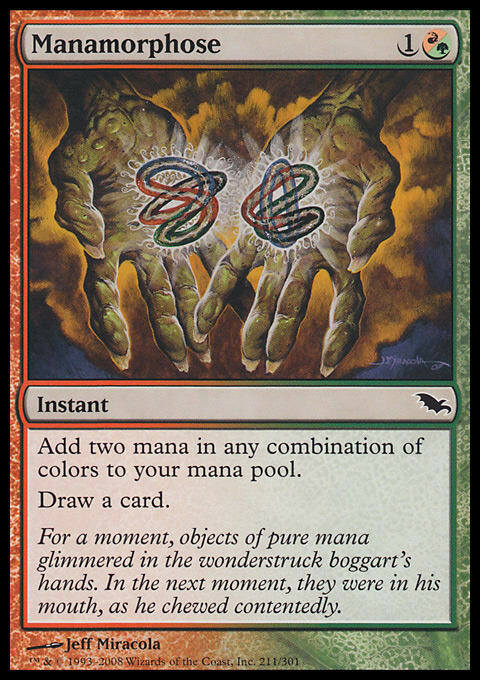 The combos basically follow the formula of, “Creature plus spell equals win,” so having enough interchangeable pieces for both categories is important. Dragon-Style Twins costs 5, but it does the job and is on theme. Well, I hope you’ve enjoyed one of the first looks at Shu Yun, the Silent Tempest. If you’re a lover of double strike in all its form, if you’ve wanted a force a Jeskai monk into Temur, or if you just love flashing back Reckless Charge and are looking for excuses to cast more Manamorphoses, give this deck a try.